Located at beautiful Crystal Lake, this property includes a magnificent stone Inn with restaurant, bar & liquor license plus a 9-hole Executive Golf Course. Property has lake rights to Crystal Lake with private lake frontage and boat house. 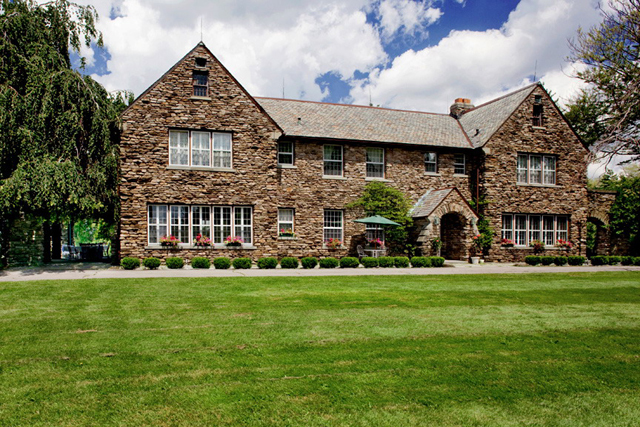 This historic property is the former Estate of Johnson & Johnson Family Pharmaceutical. Contact listing agent for more details and to arrange your private tour. Listed by Janie Matthews. Call or text 570-498-3098. Scroll to bottom of page and click on link to view MLS Flier.